Depending on your residential location, there might not be a long time every year where your house needs consistent heating or cooling. For many homeowners, however, temperature changes every year are marked enough and that is why having a little bit of both could help. Rather than having to different units, one for cooling and another one for heating, why not have a heat pump instead. This equipment can cool your home during warmer months and heat your house during cooler months. Heat pumps can transfer heat from a single place to another one, providing heating and cooling as well. They operate on the basic principle that heat is in the air even during extremely low temperatures. During winter, a heat pump will extract heat from the air outside and delivers it inside the house. To cool a home during hot summer days, it operates in reverse. It extracts heat from the air inside the room and pumps it outdoors. Florence Heat pumps produce less heat at one time compared to a traditional gas furnace. What this means is that heat pumps offer a milder kind of heat, stay on for a longer period of time, and circulate much more air throughout the entire house. They are regulated by the same kind of thermostat utilized for forced air heating units. On extremely cold days, heat pumps should work extremely hard to gather heat. During these periods, another heater turns on to increase warmth. There are certain kinds of heat pumps that can heat your water as well. Newer thermal storage systems keep heat and cold, gathering it during off-peak hours so it can be used during peak hours. In case you live in an area with mild to moderate weather conditions, installing a heat pump is a good solution to your heating and cooling needs. Those who reside in extremely cold climates will surely require more heating power compared to what most heat pump systems can offer, and will have to go for a traditional boiler or furnace. Heat pump installation is a lot like central air conditioning installation. Much like the condenser for an air conditioning unit, the heat pump can be positioned outside the house and linked to the ductwork throughout your home. You may already have ductwork in place, which can help lower the heat pump installation cost. One of the biggest advantages of installing a heat pump instead of another condenser or boiler/furnace system is related to the maintenance. Having just one system to take care of means lower repair costs and much less maintenance. 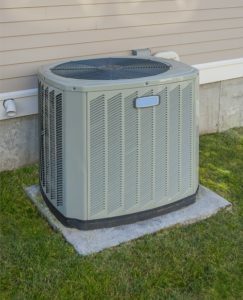 Electric heat pumps are far more energy efficient compared to their condenser counterparts due to how they run. In case you would to heat and cool greenly and cleanly, you should consider the installation of a geothermal heat pump. Heat pumps also regulate humidity better. Call Florence HVAC Experts if you are thinking of installing heat pumps or if you need help in repairing or maintaining it.